Customer Focus: It’s accomplished by including the customer in decision making and on multidisciplinary teams. Conducting tradeoff studies during the requirements definition and development processes also ensures that the design remains consistent with customer needs. The specific tradeoff analysis process that is focused on reducing and controlling life-cycle cost, while meeting the customer needs, is called Cost as an Independent Variable (CAIV). Concurrent Development of Products and Processes: It refers to the simultaneous development of the deliverable product and all of the processes necessary to make the product (development processes) and to make that product work (deliverable processes). These processes can significantly influence both the acquisition and life-cycle cost of the product. Early and Continuous Life-Cycle Planning: It’s accomplished by having stakeholders, representing all aspects of a product’s life-cycle, as part of the IPT. Early life-cycle planning with customers, functional representatives, and suppliers lays a solid foundation for the various phases of a product and its processes. Key program activities and events should be defined so that progress toward achievement of cost-effective targets can be tracked, resources can be applied, and the impact of problems, resource constraints, and requirements changes can be better understood and managed. Early emphasis on life-cycle planning ensures the delivery of a system that will be functional, affordable, and supportable throughout a product’s life cycle. Proactive Identification and Management of Risk: It’s accomplished in many ways in the IPPD environment. By using the IPT teamwork approach, designers, manufacturers, testers and customers work together to ensure that the product satisfies customer needs. DoD endorses a risk management concept that is forward-looking, structured, informative, and continuous. The key to successful risk management is early planning and aggressive execution. IPPD is key to an organized, comprehensive, and iterative approach for identifying and analyzing cost, technical, and schedule risks and instituting risk-handling options to control critical risk areas. IPTs develop technical and business performance measurement plans with appropriate metrics to monitor the effectiveness and degree of anticipated and actual achievement of technical and business parameters. 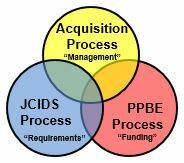 Maximum Flexibility for Optimization and Use of Contractor Approaches: IPPD is a management approach, not a specific set of steps to be followed. 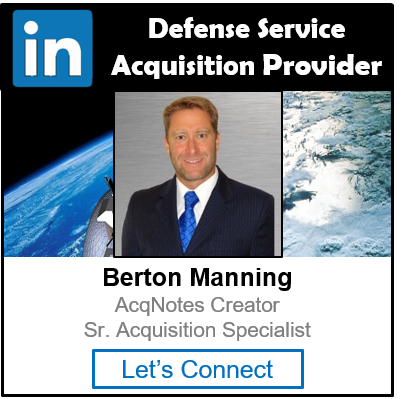 The Government acquisition community recognizes that it must allow contractors the flexibility to use innovative, streamlined best practices when applicable throughout the program.